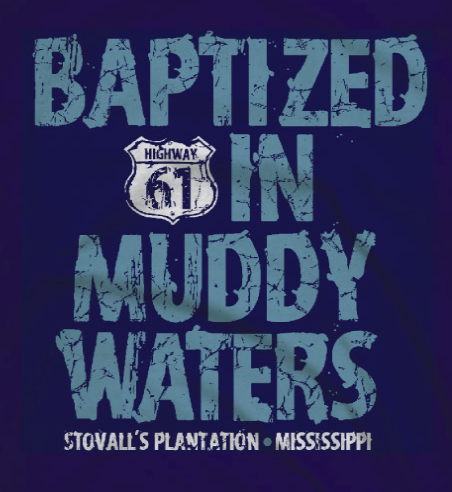 Classic Baptized in Muddy Waters Blues T-shirt – Front print on a high quality, cotton tee. 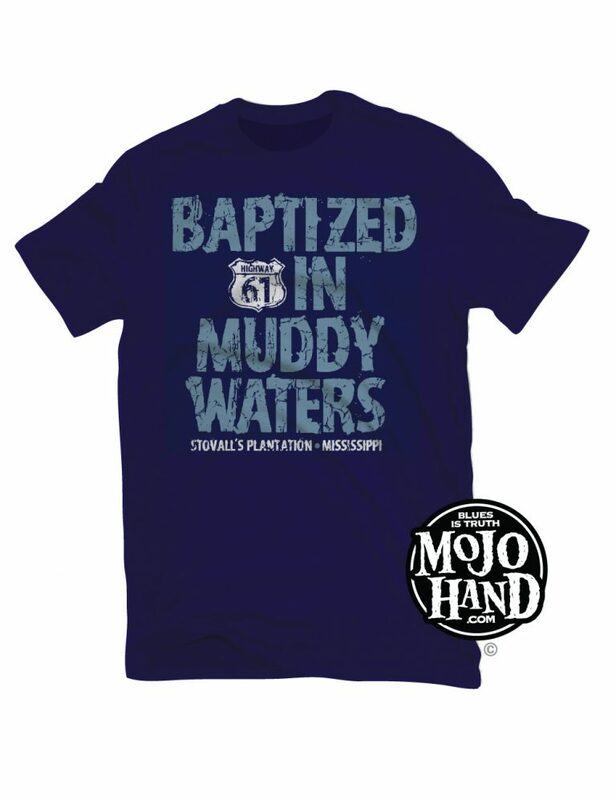 This is the original Baptized in Muddy Waters tee – don’t be fooled by the shoddy copies, Mojohand Blues tees are often imitated but no one can compete with the quality of my shirts. 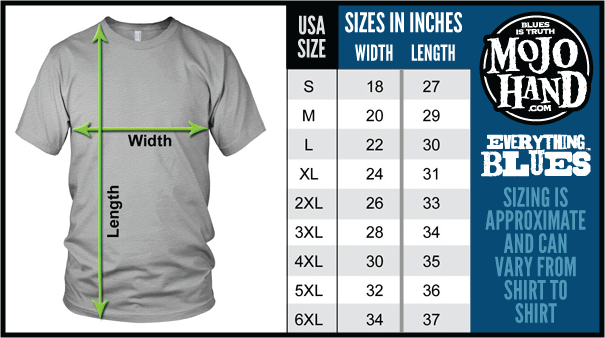 This is a Mojohand original, exclusive Blues T-Shirt design. Ships Worldwide.